The following is a guest blog post from Keith Jamaitis of Broadridge Financial Services. The Consolidated Audit Trail (CAT) is one of the most comprehensive regulatory obligations that firms participating in the U.S. equities and options markets will ever implement. Capital markets firms should use this as an opportunity to re-evaluate how they operate because, either way, CAT will increase operational complexity and compliance costs. (3) repurpose data collected for strategic business initiatives and functions related to equities and options trading. Firms are looking for innovative ways to achieve greater business value and operational advantage by assessing their business strategies and operating models. This process leads to workflow automation, operating cost reductions, and technology improvements. As these key priorities take hold, freed-up human capital can be re-deployed to evaluate new growth opportunities and work on solving bigger business problems. CAT solution implementation, approached strategically, will drive this change. Currently firms are caught in a difficult situation, the final draft of the CAT requirements and the compliance timeline continue to be uncertain targets. Whatever the final shape of the requirements, the timelines will be tight based on the scope of CAT to meet the regulatory need for market transparency. Although the industry cost burden will be shared among participating firms, many will see a significant rise in capital investment to create the systems and operating capabilities to be compliant with CAT. Those who are currently exempt from reporting requirements under current regulations will no longer receive the same treatment for CAT, inevitably increasing their compliance burden and changing operating cost structures. Due to these requirements, senior business executives are making it a higher priority to leverage these compulsory investments for greater business efficiency. CAT ultimately will facilitate the creation of the most comprehensive set of order and trade event information ever compiled and stored within a firm. CAT also requires high standards for data quality and integrity – transforming collected data into a natural source for analytics and other data intensive initiatives. The CAT initiative will force data to be more organized and easier to use. Consequently, this will not only meet regulatory requirements, but drive improvements in firm-wide enterprise data strategies. A successful implementation will require multiple disciplines to be brought into play including project management, data management, the qualitative insights of an expert team, and solution design. The full accounting of an order, from start to finish as prescribed by CAT, is truly different. It will create a new and more complete data store. This complete data set offers firms a new opportunity to mine and analyze data on clients, exchanges and counterparties with which they trade, all in one place. But data is only valuable to a firm if it is trusted, controlled and accessible under suitable processes. Therefore, a firm’s CAT effort should focus on accurately linking, managing and aggregating data as part of a firm’s larger data strategy. This new data store will allow compliance and regulatory operations to play a strategic role within firms in terms of using insights to drive growth and positive change. CAT reporting implementation will be costly due to its vast scope and complexity. CAT is more than just another regulatory reporting requirement – it is an opportunity to gain a lasting advantage from the resources firms must dedicate to it. The key is for firms to shift their perspective of CAT from a compliance event to a systematic way to access a more complete set of quality, trusted data for analysis and other key data initiatives that drive business strategies and revenues. As the CAT evolves, firms can take a look at their own process automation, operations, clearing model and future needs, and plan their next strategic business or technology initiative. Many firms, however, will be challenged in achieving this transformation based on their current operating models, technology infrastructure and staffing constraints that are a result of previous compliance initiatives. To overcome these challenges, firms need to engage with industry experts to create the changes necessary to make CAT implementation more than just another regulatory compliance exercise. Keith Jamaitis is Managing Director, Professional Services of Broadridge Financial Services. 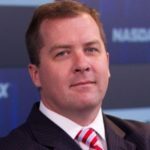 His career spans over 20 years and includes a background in U.S. and international market structure and trading systems. For more information on CAT, visit Broadridge’s recent white paper and SIFMA’s Consolidated Audit Trail Resource Center.